Secluded in the Kenepuru Sounds, this three bedroom home has total privacy and is some distance from any neighbours. Access to the beach, and plenty of farm land and bush walking available. Close to the Queen Charlotte track, Te Mahia and Portage resorts. A guide to over 935 holiday homes, cottages, vacation homes, cabins and baches available for rent throughout New Zealand. Bach for rent in Queen Charlotte Sound. Boat access only. Mill Stream Cottage is a luxurious, relaxing, self-catering cottage for up to four people. The cottage is set, at the end of a long driveway, amongst a large garden of mature trees in the picturesque lower Omaka Valley. 2 self contained cottages in a rural setting, five minutes drive from Blenheim town centre. Ideal for families and groups. Join us on a relaxed and informative wine tour. Small group size. Flexible itinerary. Relax and enjoy your stay at the Woodside Cottage. A self-contained two bedroom cottage plus a refurbished cottage annexe overlooking the scenic Kaikoura coast in Marlborough, New Zealand. Charming straw bale constructed two bedroom self contained cottage and bed and breakfast near Blenheim in the heart of Marlborough's grapevines in New Zealand. Self-contained country accommodation for a quiet holiday. Bachcare has the largest range of pre-serviced holiday homes available for rent throughout New Zealand, including Blenheim and Marlborough Sounds. 7-day per week customer support, cleaning and linen services available. Book instantly online with Bachcare's real-time availability! Come away from the stresses and pollutions of the outside world. 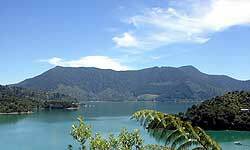 Marlborough Sounds accommodation for couples, family holidays or groups. Visit this beautiful part of the Marlborough sounds New Zealand. Waterfall Bay, Port Ligar on Pelorus sound. Situated in the famous Marlborough wine region, Walnut Block Cottages offer premium quality, cottage-style vineyard accommodation for both local and international travellers. Modern and comfortable decor coupled with the vineyards peaceful, serene surroundings means that your stay at the cottages is a truly unique experience and the perfect escape all year round. Escape to a perfect sanctuary with luxury countryside accommodation situated in the heart of Marlborough's renowned Wine Country. it's your ideal choice for affordable, authentic self contained holiday accommodation in the picturesque Marlborough Sounds of New Zealand.